These books of studies provide invaluable practice material for the building of technique. 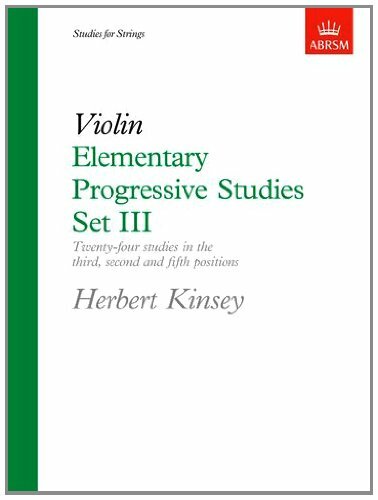 The three sets of Elementary Progressive Studies , each of which contain 24 studies, comprehensively explore violin playing in the various positions indicated and a note at the head of each study shows further the technical skill to be developed. All of the books contain a good variety of finger technique, keys and bow strokes, and helpful fingerings and bowings are given. Provides invaluable practice material for the building of technique. Contains 24 studies, which comprehensively explore violin playing in the various positions indicated and a note at the head of each study shows further the technical skills to be developed. Contains a good variety of finger technique, keys and bow strokes. Helpful fingerings and bowings are given.